Trade 70+ forex pairs with our technologically-advanced trading platforms for desktop and mobile. From any corner of the world, nothing provides a better liquid trading opportunity than the forex market. The forex market is one of the largest global trading markets, with trades taking place round-the-clock through the interbank currency market. The large trading volumes are influenced by investors, traders, speculators, exporters, importers, MNCs, fund managers and many other’s involved in global forex trading. At FX Trading pro, you have the power to trade in foreign currencies and speculate on the value of a currency pair. We provide you with a technologically advanced trading platform for desktop and mobile with the ability to trade 70+ foreign currencies. We not only give you tools to trade, but we also provide you with insight from industry experts and an education platform to provide you with what you need to succeed. Prior to the advance of technology, the forex market was prone to manipulation. Technology and regulation have led the world’s most liquid market to new heights as well as reaching more traders globally. We have leveraged these technological advancements to develop a dedicated trading platform for mobile and desktop. This is to ensure that even on the go, you can continue to access your forex trades. – Get real-time news and information to help you make better trading decisions. At FX Trading Pro, we believe in empowerment and helping our traders grow. Working as your partner, we help you develop from aspiring trader to expert trader with our multiple account types. Specially designed for training purposes, our demo account is for everyone who wishes to learn the basics of Forex trading and familiarize themselves with the platform without fear of losing their money. Its design and function are similar to a live account the only variation being you do not need to add real funds. If you desire to learn how to trade and be a better trader, or simply practice your trading strategy before implementing it, sign up for an FX Trading Pro demo account now. Start trading our standard forex trading account. Benefit from daily market reports, exclusive training, access to advanced trading platforms, and much more. Trade with confidence in 70+ forex pairs with some of the best trading platforms. Economic calendar. Our comprehensive economic calendar covers important market events, industry outlooks, economic forecasts, and major situations that can potentially impact the forex market. By effectively using our economic calendar, you can stay updated about everything related to the market and time your trading decisions, perfectly. Forex news. Use our forex news section to keep informed about the latest market events, trading trends and news that have the potential to influence the market moves. Our forex news is relevant, up-to-dateand refreshed all through the trading day to help you react fast and remain in the cutting edge. Make the right trading decisions by understanding the market sentiment. This is an essential factor that is influenced by factors such as crowd psychology, investor sentiment and the trend of the various currency pairs traded. By analyzing these aspects, you can gain insight into the market sentiment and adjust your trading to reflect this. 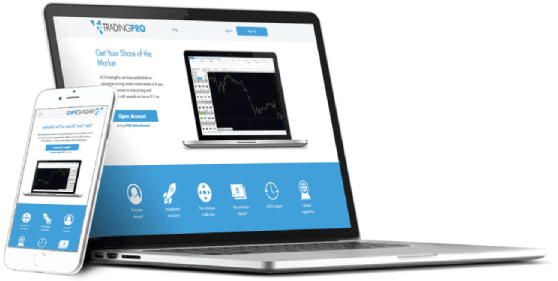 Why trade with Fx Trading Pro? We offer a sophisticated trading platform which is also user-friendly. The desktop trader by Fx Trading Pro is highly customizable and operates on Windows & Mac OS installed PCs. On the go? We have a mobile trader for Android & iOS, which is equipped with advanced charting tools to help you trade from anywhere, anytime. 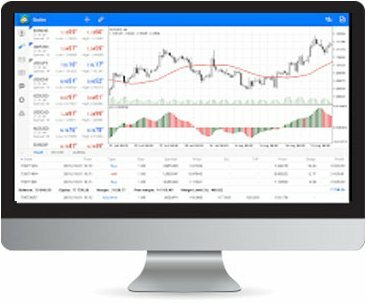 The world’s most powerful and advanced trading platform built-in with advanced features, trading indicators, and one-click execution to enter and leave trades instantly. of the National Futures Association (NFA 0509828).